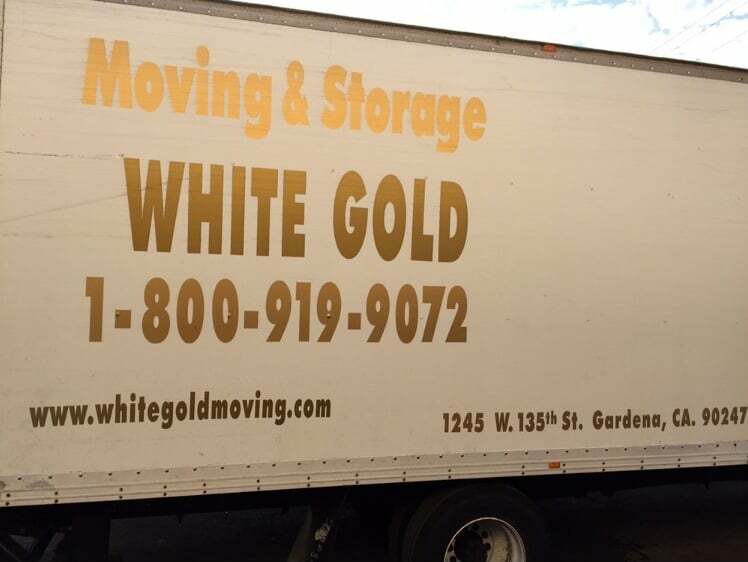 At White Gold Moving and Storage, we offer the best moving and storage services in Southern California. Our helpful sales associates are available to answer any and all questions you may have, so give us a call today!At our locally-owned business, we are experienced and personable. We have been doing this for a long time and your satisfaction is our number one priority. Because of this, we offer the widest range of moving options you could want!We offer packing, local moving, long distance moving, and storage between your residences. Local residential moving takes place within a 50-mile radius within the state; long distance moving is farther than 50 miles and over state lines. Either way, we're here to help! We also offer packing services as needed and have crews available to have you packed, wrapped, and ready to go for your moving date. Our storage options can help ease your moving process, too! Just ask for more details.With us, you can rest easy knowing that your next move is being handled by industry professionals. We always show up on time and work hard to ensure that we stay on schedule. Our movers are knowledgeable and can handle every situation professionally and efficiently. Check out our website, give us a call, and we'll have you packed and moved in no time! Let us help ease the stress of your next move. Established in 2005. 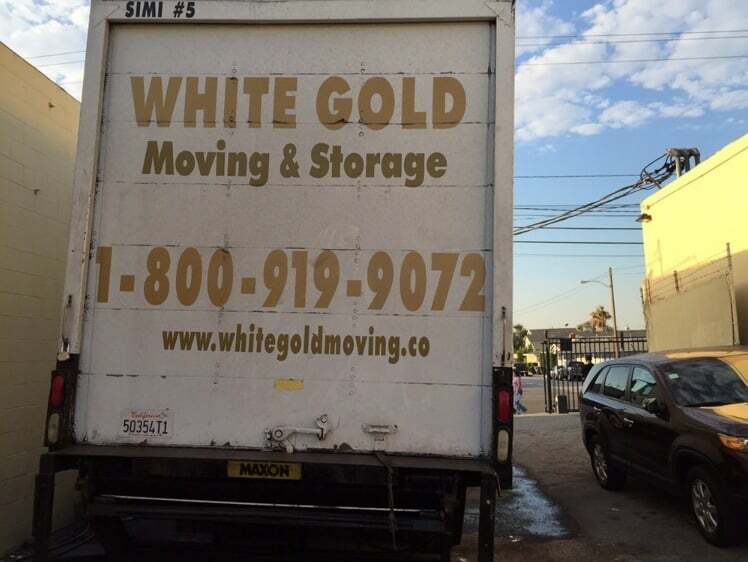 White Gold Moving and Storage has been helping the people of Southern California move since 2005. Our mission is to provide the best moving and storage services around with friendly and efficient service. With over ten years of success so far, we look forward to adding you to our long history of happy customers. The Worst Moving Experience. 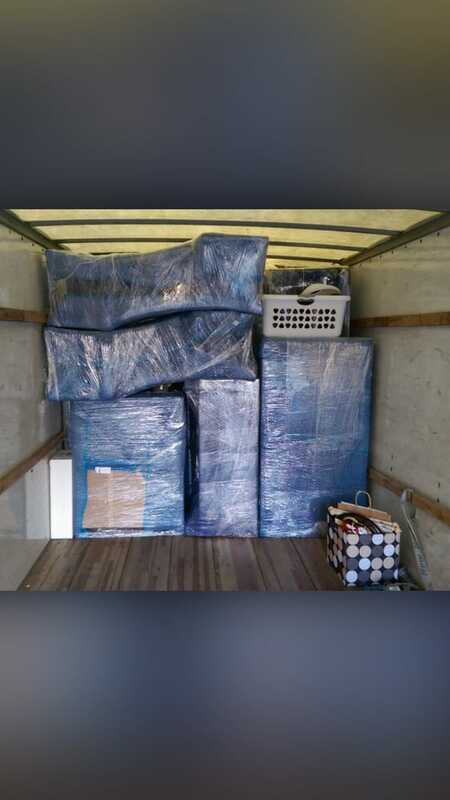 I have moved many times and had both good and bad experiences; but THIS WAS THE WORST EVER.Movers took forever to load. Taking small items one at a time. Drinking sodas and taking breaks in first half hour. Due to poor performance, I had no option but to call the office and request to intervene after watching about two hours. Instead of getting better, the foreman became rude, got frustrated and told me I should have never call their boss. He told me that I made the big mistake. Pour out his anger on me. Condition got worst. They refused to work and ready to leave and I had apologized in order for them to continue. Afterwards, the workers intentionally ignore my requests. (Due to delay. we could not load everything and went to the new place). The truck left and I took few more items and locked up the place and went to the new location. But the truck didn't come. It is only 10 minute distance but they didn't come so I had to call the office again. When they finally come after taking more than hour later, they demanded more money in cash in advance before they unload. I gave in and went to the bank to withdraw cash. But they took our stuff. When I got back I heard that they threatened my son (who is minor). I had to call 911 to report but police was not dispatched nor official report was made because it is consider as civil case in court to settle. I felt my voice was not heard and more must be done.Physical damages: - broke bed frame- tile floor ripped- scratched sofa- all refrigerator food had to be thrown out due to bring them back following day. - many missing boxes(not arrived)!Alums and pictures and many of my books are being stolen.My son cannot study because of text books and computer power cords were in the missing boxes. My wife"s and daughter"s clothings They were a shame to go to work and school without proper attire. I don't even know how much clothings worth. - Boxes were over turned, spilled... Mattress dirty because it was not wrapped properly. - items are left behind: not loaded. - Left behind not loaded items:Next day, one of the worker confessed that they didn't unload because of the Super Bowl. Extra helpers were hired but they couldn't work because the movers refused to unload. We still had to pay them anyway. They are willing to testify to this. L And N Carpet Cleaning I.
I had some furniture to move to New York for my son. Glad I could give the furniture and thankful I found this moving company to transport the items for me. They were upfront during the entire process and made sure that everything got there in one piece. This company is awesome! Very professional and organized. They were done with the packing after 3 house. Great service. Worth the extra bucks.. 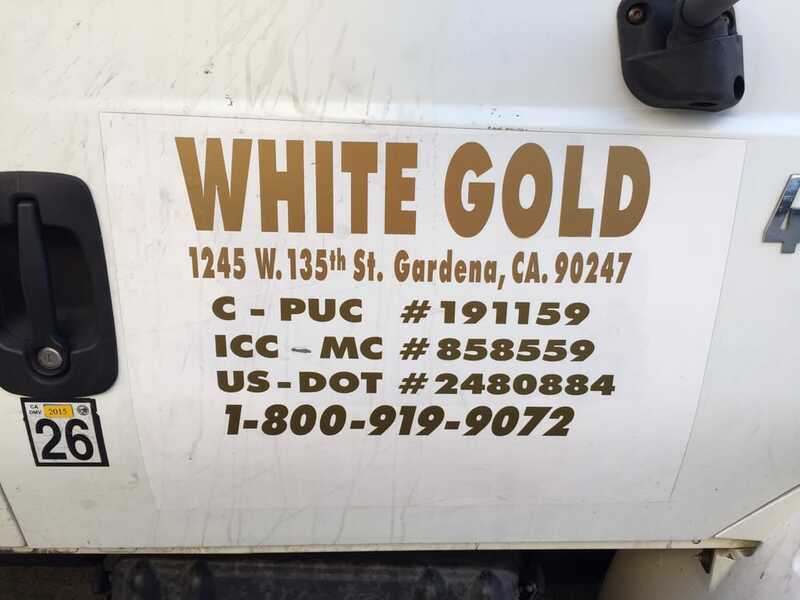 I was relocating my office from Gardena and needed movers asap. Every one I was calling said they were busy and didnt have an availability for me. I even had one guy say he would put me on the list and get back to me but never did. White Gold Moving sounded good. I called and the guy was able to give me a date and time they would come out. Theyr scheduled me and packaged everything right. The guys were fast and careful especially since it was raining. I am glad I found them. Way better than renting a Uhaul and doing it on my own(my original idea).